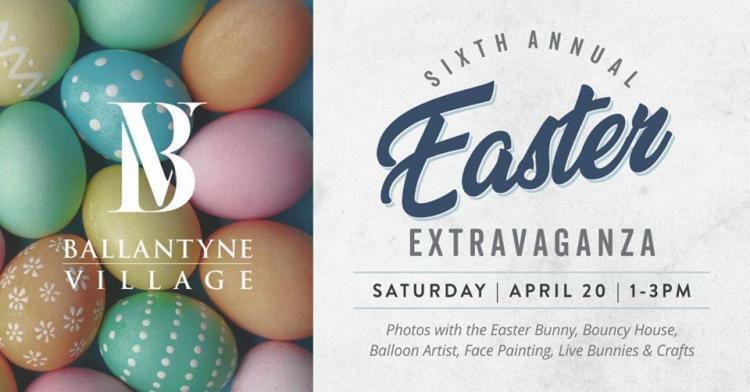 Get ready for our 6th Annual Easter Extravaganza on Saturday, April 20! Bring the whole family for non-stop fun and plenty of photo ops. From 1 to 3 pm, your kids can have fun while playing with bunnies, making arts and crafts, getting their faces painted, a balloon artist, and jumping around in our bouncy house! Parents, don't miss out! Make sure you get your photo of your kids with the Easter Bunny! We hope to see you all there.